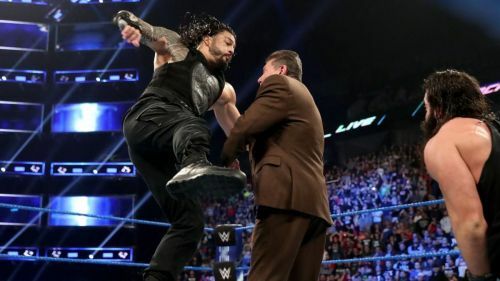 From Roman Reigns claiming SmackDown Live as his new territory to Kevin Owens entertaining the fans as an honorary New Day member, this week's edition of WWE SmackDown Live (16th April 2019) featured a lot of contrasting moments indeed. As a follow-up episode of this week's Superstar Shake Up special, I think that SmackDown Live did a pretty decent job as compared to a rather disappointing episode of Monday Night RAW. Of course, there were some faults here and there, and the show could have used a boost at several points. There is something really organic about Kevin Owens displaying his comedic skills in front of the WWE Universe. More often than not, you can tell when a comedic bit is not working in the WWE. But Kevin Owens' comedic approach to entertaining skits is amazing. 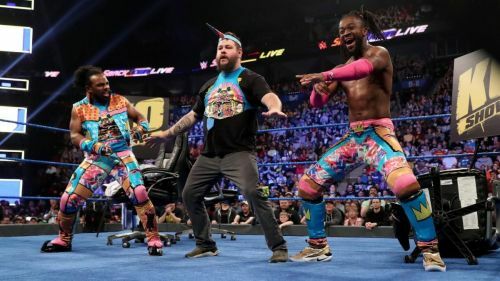 Not only did he entertain the fans as an honorary New Day member (Big O) last night, but Owens completely stole the show whenever he was on-screen during several moments throughout the episode. On a sidenote, with all the comedic bits aside, Kofi Kingston hasn't been involved in a major feud since winning the WWE Title at WrestleMania 35. The same goes for Seth Rollins. Hopefully, things will pick up from next week now that the Superstar Shake Up is done with. It will also be interesting to see if WWE deals with a possible confrontation between Big E and Kevin Owens in the future. Does Kevin Owens being involved with The New Day lead to an unlikely New Day breakup? Perhaps there could be more to last night's entertaining skits that might lead to unfortunate consequences. Whatever the case may be, Kevin Owens is easily one of the most entertaining stars on the main roster, who rarely misses his beat each and every week.